All the fun without the fear of seriously damaging your health? Nearly 10 years later, I’m still astounded by these statements. Could it be true? Have Swedes discovered the holy grail of tobacco consumption? All the fun without the fear of seriously damaging your health? It is only now that I’ve begun my open-minded investigation into the world of Swedish snus. An 18th century invention, the oral tobacco differs from the well-known American moist snuff (colloquially referred to as dip or chew). Steam-pasteurization results in a product that appears to be considerably safer than its fermented American cousin. Snus enjoyed immense popularity in Sweden all the way until WWI and WWII, when it was superseded by cigarettes. 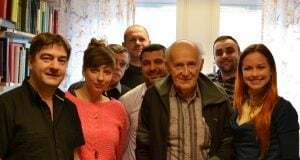 Intellectuals and the wealthy flocked to cigarettes and snus was left to Sweden’s blue-collar, working class. At the time (and up until the 1960s), the state had a monopoly on tobacco. With cigarettes in vogue, sale of snus had plummeted, prompting discussion to stop production altogether. Such a decision was held off until the US Surgeon General warned the world of the perils of cigarettes in 1968. This warning along with the introduction of pouched snus in 1973 prompted a grassroots movement that helped snus gradually find its way back into the pockets of Swedish men. Despite overall tobacco consumption in Sweden being comparable to the rest of Europe, Swedish men have some of the lowest rates of lung, oral and pancreatic cancer – illnesses intimately linked to tobacco consumption. 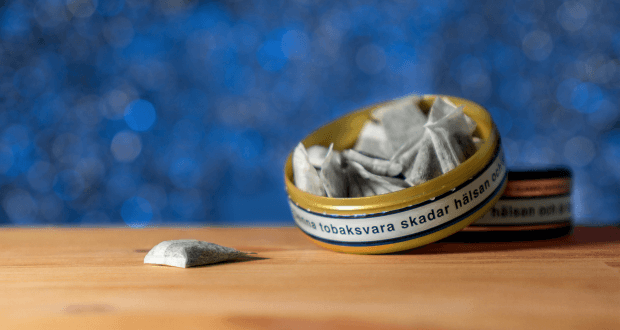 Foreign researchers termed this peculiarity the “Swedish Experience” suggesting that the decrease in smoking and adoption of a safer, healthier snus has led to this positive public health outcome unseen elsewhere. Indeed, it takes a remarkable amount of scrutiny to uncover harmful side-effects of snus. It seems to have quite a favorable risk profile compared to the vast majority of other tobacco products in terms of cancer, oral lesions, cardiovascular disease, etc. Swedish Match AB – owning approximately 70% of the Swedish snus market – hopes to bring this “Swedish Experience” to the rest of the world. “Our vision is to have a world without cigarettes,” notes Patrik Hildingsson (Vice President of Communications and Media Relations at Swedish Match). Mr. Hildingsson acknowledges that this vision is atypical for a tobacco company and takes pride in how Swedish Match has navigated the industry, research and politics. In a measure of corporate responsibility, the company has gradually been reducing its smoke-related product offerings without government or regulatory instruction. This includes an elimination of cigarette/pipe products from their portfolio, an ongoing divestment of cigar holdings and the decision to air-cure tobacco leaves (for use in snus) instead of smoke-curing as the process of smoke-curing tobacco produces several hazardous constituents. Today, only about 12% of Swedish men smoke while the rate is about 15% for women. Hildingsson believes that snus has had a role in this relatively low prevalence; snus use is at ~20% and ~4% for Swedish men and women, respectively. In part due to tradition and culture, Swedish women have been slower to adopt snus. “The fact that we have relatively low lung cancer rates among men [compared to the rest of Europe], but not in women is a great indication of the value of snus,” argues Professor Lars-Eric Rutqvist (Senior Vice President of Scientific Affairs at Swedish Match). Professor Rutqvist, a Professor of Oncology and former Head of the Department of Oncology at Huddinge University Hospital & Karolinska Institutet joined Swedish Match 10 years ago. During his medical training, the dogma was that smoking causes lung cancer and oral tobacco causes oral cancer. When research began to come in on snus, it appeared that snus was not associated with any increased risk of oral cancer. “I was flabbergasted and began to revisit all the things that I was taught in medical school,” recalled Rutqvist. As a result of these findings, the EU allowed removal of cancer warnings from snus packages in 2001. They now sport a much milder, general warning on health and addiction. “Yes, there is no oral cancer risk, but there can be other oral, dental issues,” notes Professor Hans Gilljam (Department of Public Health at Karolinska Institutet). Gilljam is a trained surgeon and has spent over 25 years in pulmonary medicine. 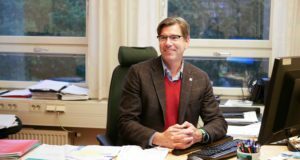 Notably, he is the only physician in Sweden working full-time on tobacco prevention and has been a strong voice in public health policies regarding tobacco. When faced with a patient who is contemplating using snus to quit smoking, Gilljam has a two-fold response: “As a physician, I leave it up to [the patient], but as a public health advocate I can never recommend one poison over another.” Instead, Dr. Gilljam would advise his patients to turn to nicotine gums and patches as there are still some safety concerns with snus. Gum disease and exposed dental roots aside, Professor Gilljam points to a few reports of more serious health risks of using snus. He cites peer-reviewed studies indicating heightened risk of pancreatic cancer (though these studies have been subject to considerable scrutiny). While there is no increased risk of myocardial infarctions, the severity of heart attacks (e.g. death from heart attacks) appears to be increased. Heavy users (i.e. consuming more than 4 canisters of snus per week) have 2-3 times increased risk of developing type II diabetes and women who use snus during pregnancy may put the fetus at risk of developing malformations like cleft palate. Professor Gilljam concludes that while smoking is public enemy number one and equates burning cigarettes to creating a “chemical factory inside your body”, there is still a lot left to learn about snus before incorporating it into a public health strategy. A looming concern is the nicotine in snus. Although nicotine itself is not particularly dangerous at the concentrations found in tobacco products, it can certainly cause addiction. The absorption of nicotine into plasma from snus is slower than with cigarettes, but ultimately enters in rather large quantities. This can prove quite addictive and complicate the process of quitting tobacco. For example, of Swedish men who have used snus as a tool to quit tobacco, around ⅔ have found themselves continuing to use snus for the remainder of their lives. Moreover, the fear of attracting new tobacco users (rather than simply converting smokers to snus) is a concern that is likely fueling the EUs resistance to snus. Although Sweden (and non-EU neighbor, Norway) has no ban on snus, there is a sales ban in place across Europe throwing a serious kink in Swedish Match’s expansion plans. It appears that this ban is completely political/historical rather than evidence-based. In the 1980s the US Smokeless Tobacco Company tried to set up operations in the UK to sell American snuff. Their marketing efforts were quite aggressive and appeared to target adolescents in particular. The ensuing public outcry and parliamentary debates led to a request for the company to tame their marketing strategies. When the US Smokeless Tobacco Company ignored these requests and continued to market to adolescents, the British government issued an outright ban on the oral tobacco product. Upon entry into the EU, the UK brought the ban with them and it became a part of the EU Tobacco Directive of 1992. Under vague definitions, the directive banned the use of tobacco unless smoked or chewed. When Sweden entered the EU in the mid-90s, it appeared that snus would fall into the list of banned substances. In a small, but meaningful victory for Swedes, an exemption to the snus ban was granted due to the popularity of the product in Sweden. Swedish Match, of course, feels otherwise and Mr. Hildingsson points to the tumultuous progress that they have made in EU courts as success and hope. This includes the 2001 decision which allowed Swedish Match to market snus without a cancer label. A 2004 appeal led to failure when the EU defended the snus ban on the basis that snus was a new product to the EU market. A subsequent directive in 2014 reinforced the ban on snus, but surprisingly allowed the sale of new products like e-cigarettes. The frustration is palpable and shared by many in Sweden. Swedish Match has filed another complaint in May of this year to get their case reviewed again. The topic of harm reduction programs is often considered controversial. Abstinence-only advocates believe that such programs enable continued use, but proponents point to successful programs (e.g. needle exchange). Although Professor Gilljam is in favor of some harm reduction programs, he is weary of whether snus should be used as one. He argues that when needle exchange programs were introduced, they were dealing with pressing, life-threatening conditions like HIV/AIDS. “At the time, it was life or death in a very short time.” This is quite different compared to tobacco where the effects are not as immediate. “You may have to smoke 25 years or use snus for 30 years to see the adverse outcomes.” He argues that this should certainly factor in to the cost-benefit analysis of implementing any harm reduction program. 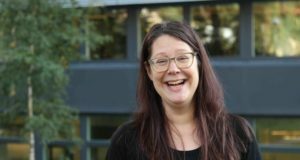 Swedish Match, meanwhile, is sticking true to their vision and plans of expansion. If they manage to get a modified risk classification in the US, they believe it will open the doors to education, research and meaningful discussions on snus – something that has been limited in the EU. Central to the discussion of snus as a harm reduction strategy is not simply whether the “Swedish Experience” is real, but whether it’s translatable. In other words, although Sweden saw a surprising drop in tobacco-related illnesses during the same time-frame as when tobacco users turned to snus, it is not clear whether other countries will see the same effect. Professor Gilljam contends that snus advocates “have never fully admitted that [Swedes] smoked less to begin with”. Indeed, Swedes generally live healthier lifestyles and may have a set of genetic and environmental factors that distinguishes them from others. Moreover, countries like the US, have been rather successful at rapidly reducing smoking prevalence without introducing a new product on the marketplace. Gilljam points out that the Swedish reduction rate is not particularly notable – trailing several countries including the US and the UK. Still, Swedish Match believes snus has the potential to break through the plateau in smoking prevalence and help in the quest to create a smoke-free society. With its rather favorable risk profile and convenience to users, it is understandable why so many around the world want to see snus hit the shelves. Whether snus is the holy grail of tobacco consumption remains to be seen. To some it may be a savior while to others it represents a dangerous detour. Whichever side of the coin you fall on, perhaps we can all agree that the tea bags of tobacco belong in your mouth or the trash – not the floor of the club. Next: What makes a scientist? Antonie van Leeuwenhoes and the lenses that changed our view of the world.